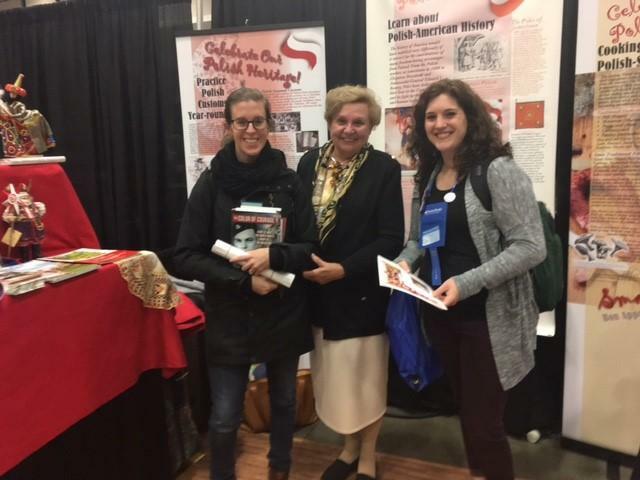 Washington, DC – The “Polish Perspectives” exhibit at the National Council for the Social Studies Conference, held on December 2-3, 2016 in Washington, DC, featured Karski-related publications and educational materials, which attracted lively interest among the conference participants. 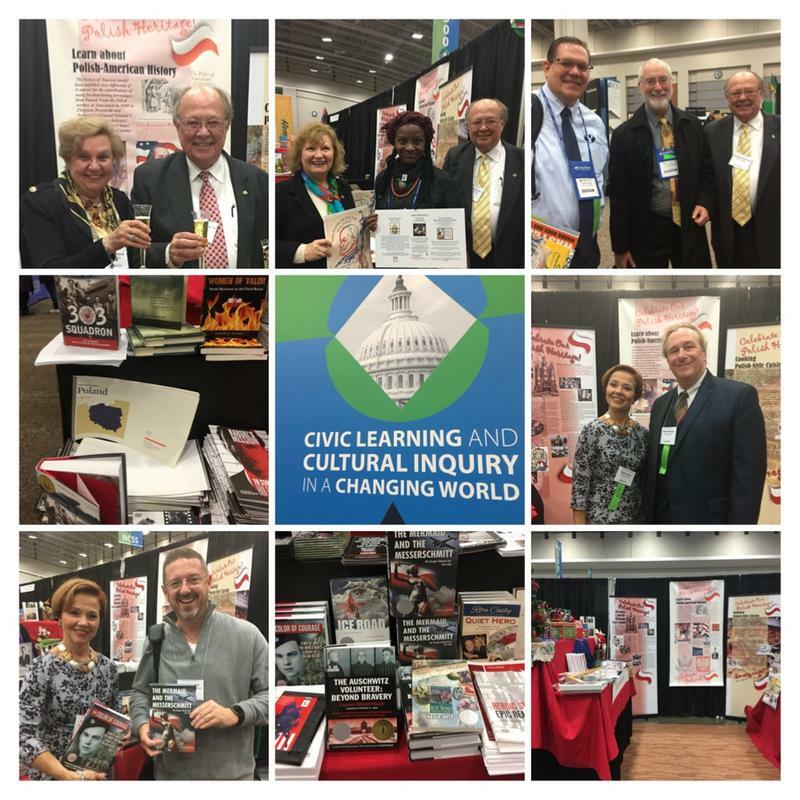 The National Council for the Social Studies Conference is the world’s largest and most comprehensive professional development conference for social studies educators. It annually gathers more than 3,000 teachers, who have an opportunity to share the most current knowledge, ideas, research and expertise in social studies education. 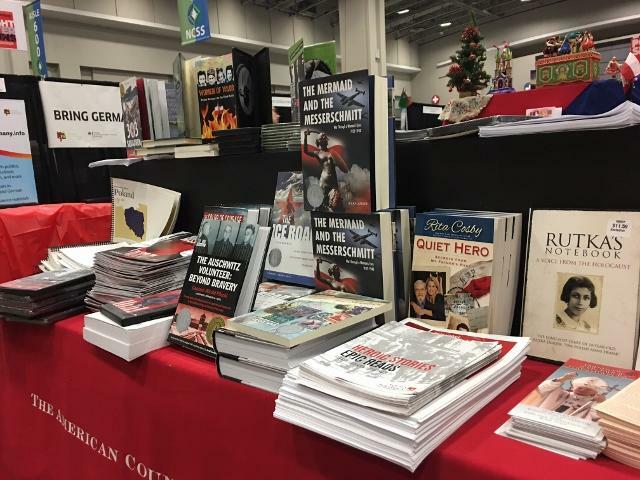 This year, there were 4,031 educators in attendance (record number), who had a chance to participate in 550 sessions and visit 220 exhibits that accompanied the conference. On display and available to teachers were the following materials promoting Jan Karski: Karski’s Mission: to Stop the Holocaust, the graphic novel about Karski; the documentary Karski & The Lords of Humanity by Emmy Award winning filmmaker Sławomir Grunberg; an Educational CD presenting Karski’s life and mission, and the extensive historical background about World War II; as well as a lesson plan about Karski developed by Johnathan Willis from the Department of Education in Maryland. 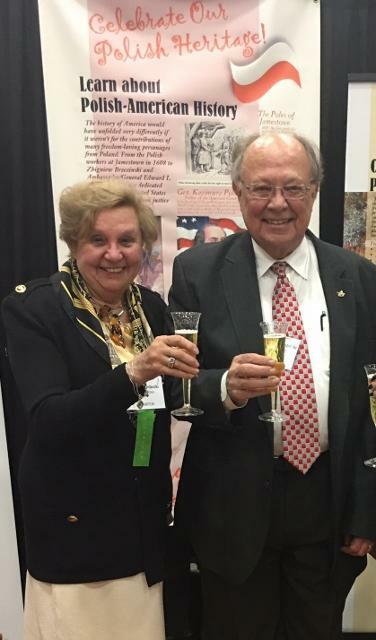 The goal of the Polish Perspectives exhibit, designed and sponsored by the American Council for Polish Culture, was to inspire educators to examine Polish contributions to western civilization and to send the teachers on a journey of exploring, understanding and appreciating the historical values of the Polish nation. 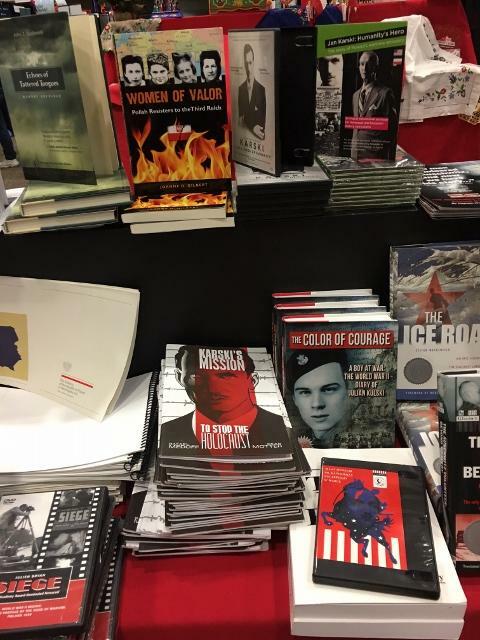 Two tables were filled with plentiful books, brochures, CDS and DVD, as well as bookmarks, maps and other resources that were designed to enrich an understanding of Poland’s participation in the world historical landmarks. The presentation was enhanced with posters presenting Polish and Polish-American history. Founded in 1948, the American Council for Polish Culture, Inc. is a national non-profit, charitable, cultural and educational organization that serves as a network and body of national leadership among affiliated Polish-American cultural organizations throughout the United States. Read more about ACPC’s mission and projects here. The Jan Karski Educational Foundation would like to thank Cecilia Glembocki, director of the Polish Perspectives project for her dynamic promotion of Polish culture and heritage and for contributing to this report. See the full report here. The project was sponsored by the Polish American Arts Association (PAAA) of Washington DC and funded by the Foreign Ministry of the Republic of Poland.